This weeks photo challenge is simply titled, Weekly Photo Challenge: Sea. Those who follow me know that I have an affinity for the ocean, and may expect a shot of us sailing the Caribbean or something. Not happening. The shot I have chosen was taken in Eastbourne, UK in 2008. Eastbourne is on the English Channel. 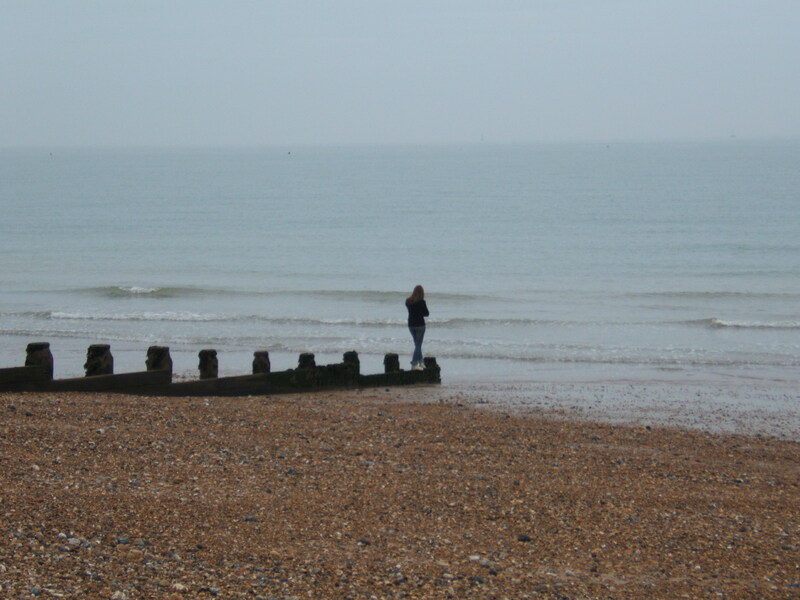 We were along the beach, when I noticed Lori’s young cousin standing on a pylon staring off into the sea. I always liked this picture and am happy to have had this opportunity to post it here. She captures almost exactly what I feel like when I am on or beside the sea. The sheer power of the ocean, and the peace it usually has is awe-inspiring and at the same time, contemplative.